Striking (当て身技 Atemi-waza): Punching and striking is more than just swinging a fist. Any strikes originating from the upper body fall into this category. 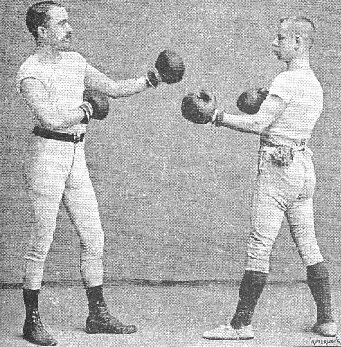 The principles that make for a good punch extend to elbow strikes, or even shoulder bumps. Kicking: (足技 Ashi-waza): Like punching, kicking is a broad category for any attacks coming from the legs. Front kicks, side kicks, knee strikes, hip checks, and more. There is even good technique to doing a stomp. Grappling: (固技 katame-waza) Seizing, controlling, and locking joints. 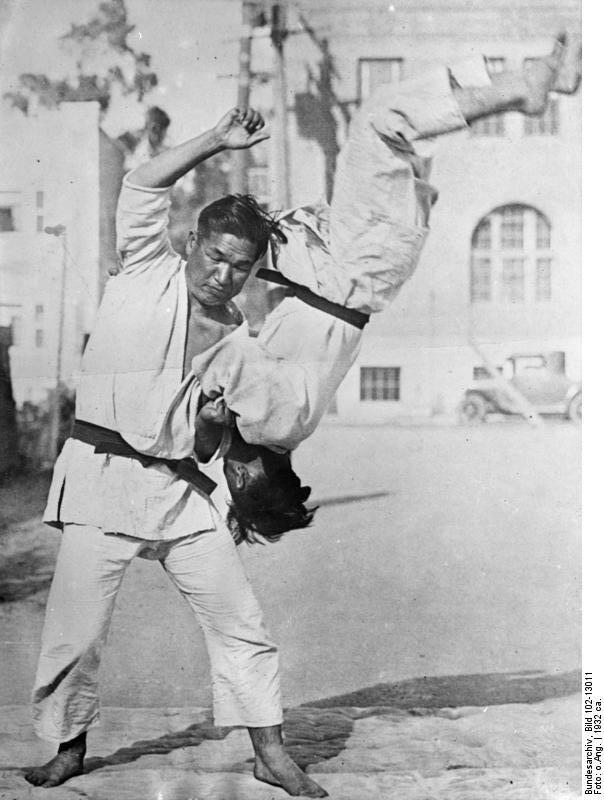 Grappling is not limited to working on the ground or positioning the opponent for breaking limbs. Grappling can be as subtle and simple as controlling someone’s balance with a push or a pull. Fall and flow (受け身技 Ukemi-waza): In general terms the person “receives” the strike, grapple, kick and throw in order to identify the weakness or compromised structure of your opponents body. The first rule of karate is “not to fight.” It is a maxim made famous by Gichin Funakoshi, the founder of mainland Japanese Karate known throughout the world today. 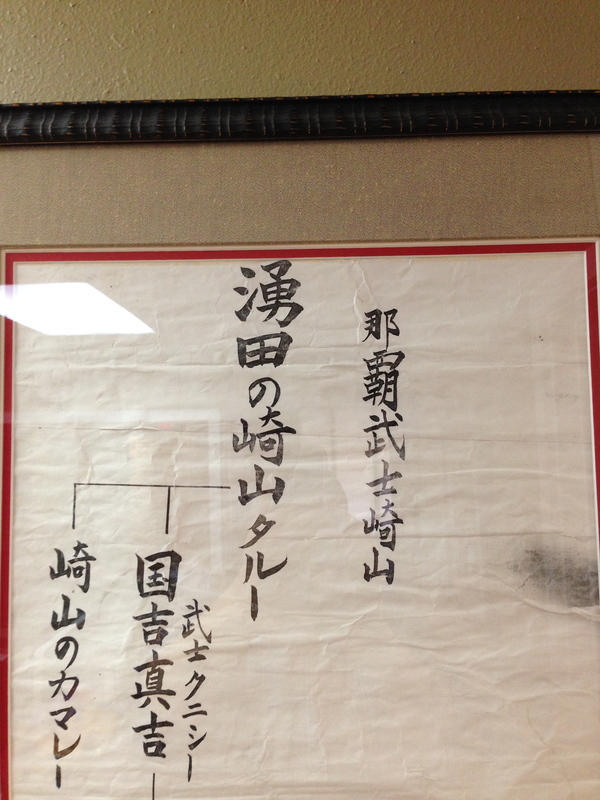 Our lineage of Okinawa Kenpo descends through a famous Okinawan martial artist named Choki Motubu (本部 朝基). 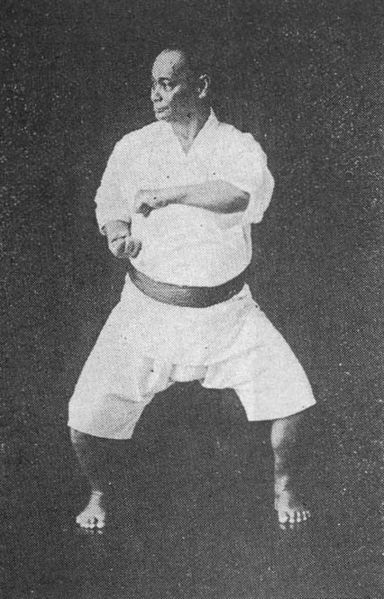 Choki Motobu performing Naihanchi kata. Motubu Sensei was not only an instructor of Shigeru Nakamura, but also “family” friends of the Nakamura clan in the north of Okinawa. 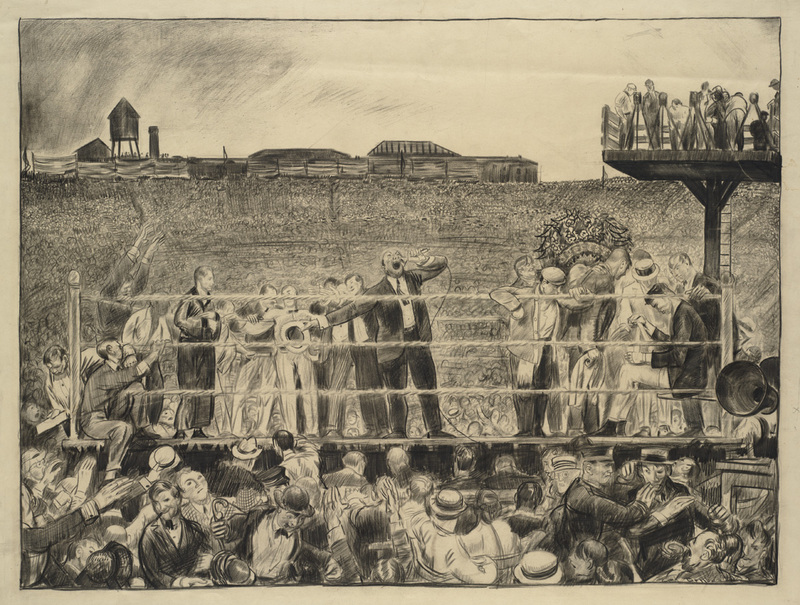 Choki Motobu is perhaps most “famous” for a ‘boxing match’ that occurred in 1925, where Choki Motobu challenged and defeated a “Russian” (other accounts say German or Slavic) world champion boxer. Martial arts movies such The GrandMaster (2013), Ip Man 2, (2010), Fearless (2006), depict such battles of Asian martial arts versus Western boxing, Chinese versus Japanese martial arts, etc. Don’t get me wrong. I love these movies. After all it is entertainment. 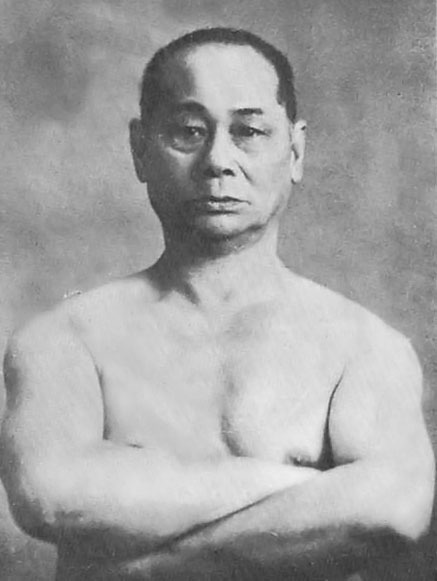 Here’s the thing: When Choki Motobu defeated the western boxer in 1925, he was 52 years old. We as students of this life-protection art understand that in order for you to become proficient you need to train. I am proud of all my student that do their best in class. Sometimes we may be a “little off” but that just shows that we are human. Karate first and foremost believes in taking care of your body, mind and spirit. Taketo Nakamura taught me this. So did my parents. And for those who missed the last time we posted this..here it is again. Now go tie your belt! This entry was posted in Choki Motobu, Four Ways of Fighting, karate, kata, Okinawa Kenpo Karate, Ryukyu Kempo and tagged Fearless, Karate Ni Sente Nashi, Martial Arts, Shigeru Nakamura, Taketo Nakamura, The GrandMaster. Bookmark the permalink. Excellent as always Gonzo Sensei. Osu. Can you please change my email address to sotot2.rigoberto@gmail.com, so I can receive your publication in my new email please. Thanks a lot.